If you are a fashion student, fill out the following form and scan your valid student ID card to apply student discount. PGM provide 5% discount for worldwide fashion student. Browse your student ID card* The upload image must be in jpg or gif, and the size less than 1MB. 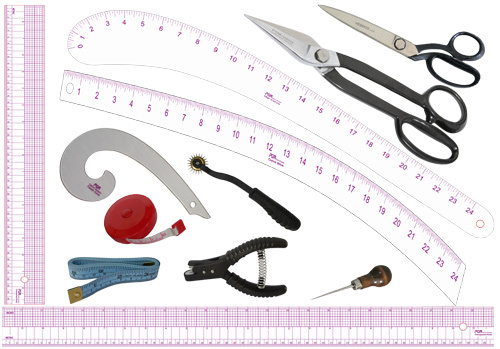 PGM Fashion Student Kits, more economic and professional set for fanshion students and fashion designers, including French Curve, Hip Curve, Curve Stick, 24" rulers, 18" rulers, rabbit punch, pattern shears, muslin fabric, draping tape, fabric scissors ....... Any question about PGM Fashion Student Kits New York, Fashion Student Kits Canada, please call 1-888-818--1991.